Hello to all Orange35 fans and millions of site owners around the world. Get a portion of awesome news regarding our company’s website. On the 8th of July, the Company has got a new, fresh and mobile friendly look. Now, all the info about provided services, products, and experienced team is in one place. We tried to keep the main colour scheme but couldn’t stop from making some changes to the company attributes. If you are one of Orange35 oldies, you may notice the difference right away. If not, here is a short description of innovations to the main site. Lot’s of people that are interested in web development can say that one-page design has become a mainstream in the last few years. That’s true, and Orange35 tried to be in step with the times. So, we decided to create a page that will represent the company in the most convenient way. On the very top, there is a short intro that is followed by all the major company data. 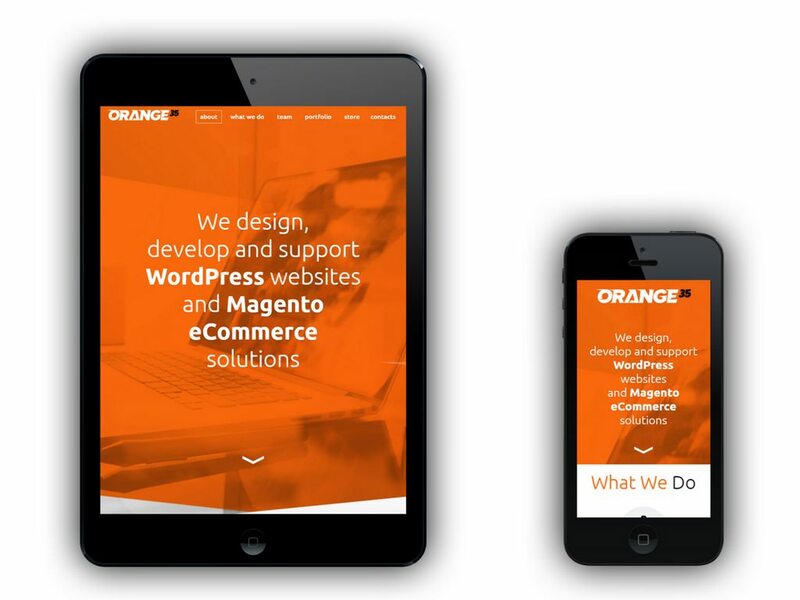 It says that Orange35 provides professional WordPress and Magento eCommerce Solutions Development services. At the same time, you can get robust Magento extensions from Store and highly professional technical support. Due to the research from Smart Insights, US internet users spend 51% of the online time from tablets and smartphones. Compared to 42% of desktop usage, this data makes most site owners to think about the mobile performance of their websites. Naturally, that new Orange35 website looks much better on mobile than the old one. Now you can comfortably access all pages and browse through them on a go with a phone or tablet. One of the major changes that takes place on all pages of every website. An old Orange35 logo looked outdated and didn’t express the power of a team. Now, you can see a modern branding that will appear on all future products and support materials. So, enjoy the new look of the Company website and keep an eye on our blog updates. 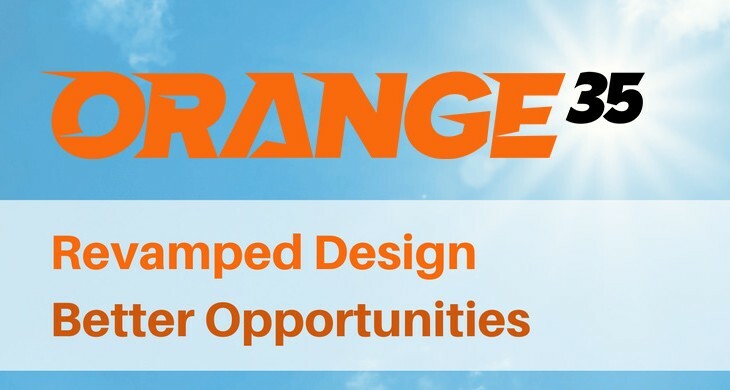 Also, if you wish to get a professional tech support or web development services, please, feel free to contact Orange35 Support Team.